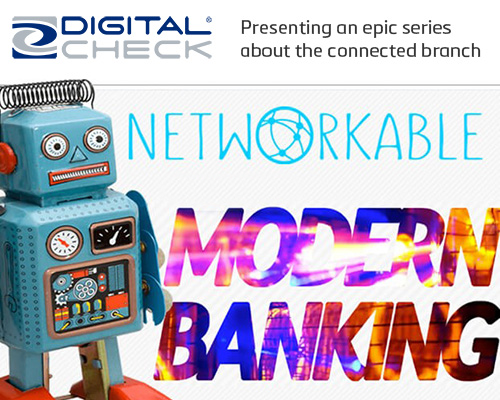 Industry Case Study: Security First Bank - The Networked Branch of Tomorrow, Today. Become A Member Of RemoteDepositCapture.com! Calculate The Value Of RDC! 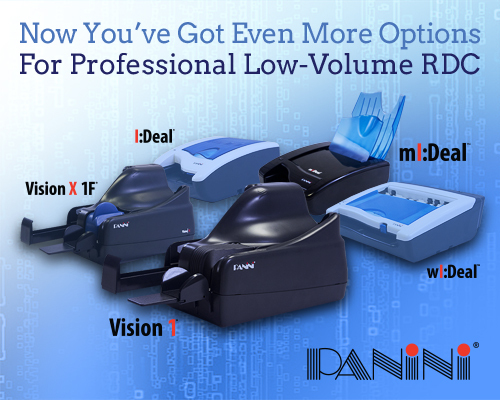 RDC can reduce expenses and increase value by much more than most people realize. How much value can RDC create for your organization? Click Here for the Business RDC Calculator ». Click Here for the Bank RDC Calculator ». It's been almost a year since the Rec CC changes have been in effect. Join us as we explore the potential impact of these changes. Specific scenarios to be discussed include: Electronic Check warranties, Returned Check warranties, the Remote Deposit Capture indemnity, statue of limitations, and the interplay between Reg CC and UCC. The 2018 Mobile Deposit Industry Study identifies and measures industry trends including adoption, expansion, pricing and risk management, and reveals industry perceptions and realities regarding mRDC risk. Changes to Regulation CC meant to address duplicate deposit responsibility and liability has left many financial institutions unsure of how to navigate these new waters and looking for answers. Join us as we reveal how financial institutions are adapting to the new Reg CC and restrictive endorsements, and discuss practical approaches and new opportunities to manage the risks of Mobile and Remote Deposit Capture. Integrated receivables has officially become a top priority for financial institutions and their corporate treasury clients. Financial institutions striving to achieve an integrated receivables offering that rivals disruptive technology start-ups can receive research-backed guidance during this webinar. Reg CC changes are fast approaching. Do you know what tech providers are offering to prepare you for the July updates? How will your institution make adjustments to minimize your risk exposure while continuing to maximize the user experience and maintain back office efficiencies? 232 pages of Reg CC Changes are coming into law on July 1, 2018. Has your legal team reviewed the updates? The webinar will provide a streamlined analysis of Reg CC changes, highlight the main implications and address technologies, procedures and policies to be considered. The Pulse on the Market webinar discusses the latest trends, issues and developments in the RDC Industry. Topics covered include the new Reg CC Changes, Risk Management and Fraud Trends, recent Fed Data, market developments and more. Account Takeover (ATO) scams are on the rise and pose a growing threat to the banking industry. Recent research reveals that 1 in 4 Financial Institutions who took a loss in the mRDC channel were victims of ATOs. Learn how to leverage RDC technologies to defend against losses from ATO schemes. Now more than ever, it’s important for banks to be armed with the right solution offerings that allow for quick entry as new market opportunities emerge in the SMB market. Learn more about what you should consider, strategies to plan for a successful migration to a better provider and more. After Mobile Deposit skyrocketed in popularity, banks are now coming to market with Business Mobile Deposit. Surprisingly most small businesses are still using a consumer mRDC solution, leaving opportunity for you to transition them to a mobile solution geared specifically for their needs. Remote Deposit Capture is changing the very way banking is done. 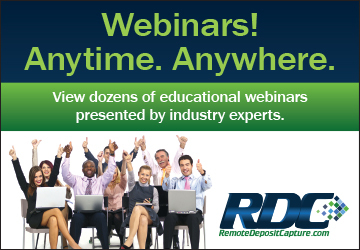 RemoteDepositCapture.com is your leading independent resource for information & services covering the RDC industry. Sound risk management policies and procedures for RDC products are more than a good idea, they are a regulatory necessity for financial institutions. Here’s a look at ways some FIs are coming up short. Reg CC amendments that took hold last year established new warranties and indemnities related to RDC and electronic checks. Learn how these might play out under real-life scenarios. Mobile deposit adoption could get a boost as leading consumer bank Chase leverages mobile RDC in play to bank millions of underserved Americans. Will smaller banks and credit unions follow suit? Nearly half of all consumers receive check payments from businesses last year. This is yet another reason why banks and credit unions must continue promoting consumer mobile deposit. USAA / MITK Patent Dispute – Impacts for the Mobile Remote Deposit Industry? RemoteDepositCapture.com's Scanner Matrix includes the most comprehensive data available - all the information you need to make an informed buying decision. The Matrix is sortable, contains detailed specifications, videos and brochures of the leading check and document scanners. There are also options to print all or selected scanners and download them in a Microsoft Excel Workbook (.xls file). RemoteDepositCapture.com's RDC Calculators enable you to determine the core value RDC can create for either a business or a bank.